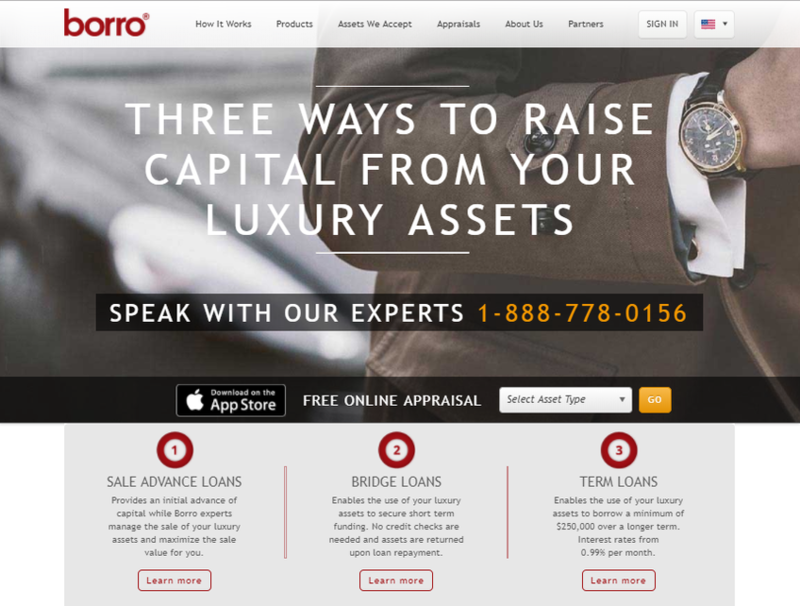 Borro is an online company providing loans of up to $10,000,000 secured against luxury assets such as fine art, antiques, jewellery, luxury watches, prestige & classic cars, fine wine and more. With operations in the US and UK, the company bridges the liquidity gap between the high-end of the retail pawn shop market and the private banks. Customers can manage the entire process online - from application to contract acceptance.